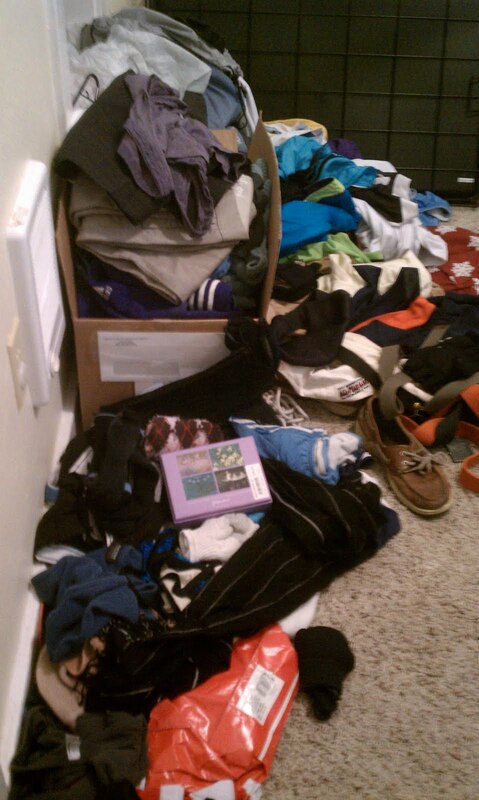 As anyone who has lived with me can attest, I am not organized. My argument would be that I do not appear to be organized. No, my clothes don't live in drawers, and my books aren't all nicely alphabetized (by genre, then by author or subject, not that I've thought about it) and put in bookshelves. They stay in piles. I know what's in the piles, but to the untrained eye it probably looks like a mess. This organization issue of mine is compounded when I move. I do not pack things in any kind of organized fashion, and then I don't usually bother to organize them when I unpack again. In my last house, this actually worked out because there were closets galore. I actually had 4 or 5 boxes that I never even opened that contain god knows what. My closet drank too much absinthe and threw up all over the guest room. It refuses to go to rehab - I fear it will end up like Amy Winehouse. Apparently adults aren't supposed to live like this. I have zoned out through various explanations of why I should put my clothes away and get rid of the items I haven't worn since freshman year of high school, but it really hit home with the comment "Aren't your parents coming to visit in a few weeks?" I like it best when my parents think I live in a state of cleanliness (which is mostly true!) and non-clutter (which is a complete lie!). I don't know why I think that they think that; it's not like I have ever shown them evidence that I am prone towards putting things in their proper place. But, every time they visit, I run around and throw things in drawers and under beds and in closets, and then we all pretend not to notice when I go to grab a jacket and shoes, sports equipment, and books tumble out at me. This whole veneer of organization is hard to achieve when your closets are wide open and your bed lives on the ground. 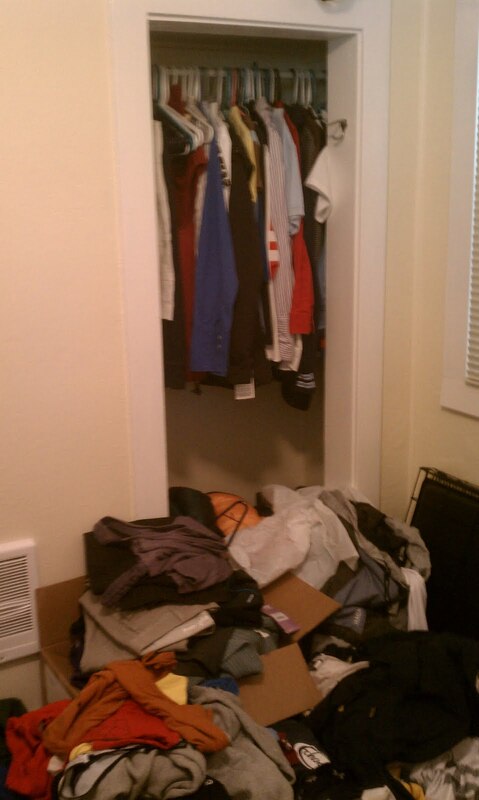 So, after a couple false starts because spiders had moved into my clothes mountain, I started organizing. After about twenty minutes, I had filled a suitcase that was going to be donated, and I was like, "Awesome, I'm finished! Look at all my piles!" That picture may be misleading. Let's look at another view of the room. 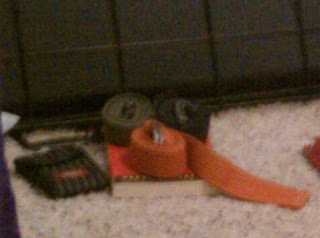 I also learned that putting a mess of things on top of another mess of things does not constitute putting it away. At this point, I think I may have laid down in my mess and said either "but I'm so tired!" or "but messes are so comfortable!" or maybe both. -I've already opened all the drawers at least once! -All the empty hangers are all the way at the back of the closet! 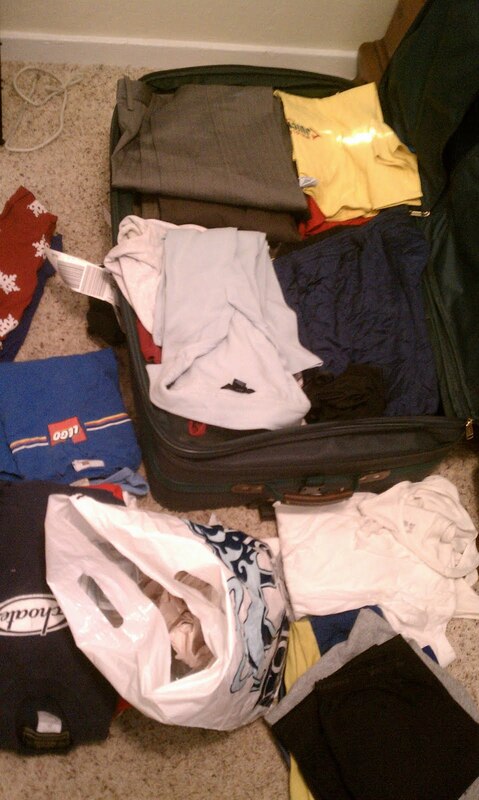 -I don't have to organize anything I'm standing over because I can pretend I can't see it! -Isn't time for beer now? -If I put it on, I don't have to it away! -Look, my dog needs something super important and not in this room! Despite my delays and the weariness of my soul, I finally accomplished it.... mostly. "Where are those belts going to go?" ".... on the book. Duh." I feel like you learned a lot! Good work.